Traveling for your next assignment? Do you need to get yourself as well as your gear to a job seven states away? 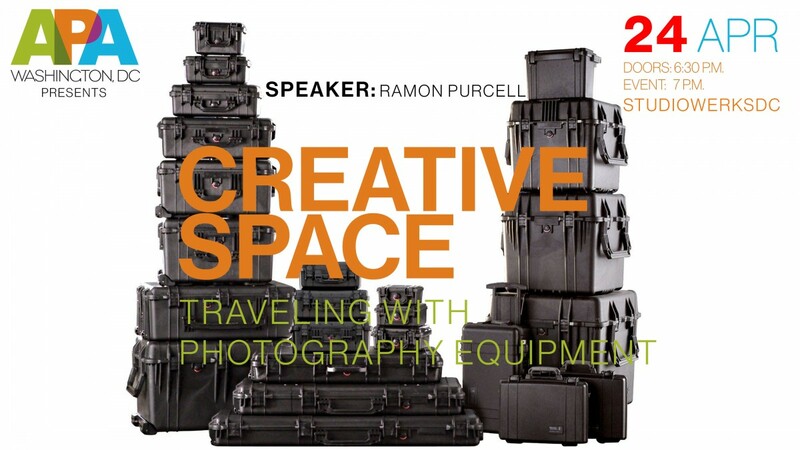 Join us as photographer Ramon Purcell outlines how to pack your gear and survive air travel all while making your job deadlines. Find out which airlines are friendliest to photographers, how to obtain reduced baggage fees, how to avoid travel restrictions and how to pack all of your gear. Ramon has over 20 years of experience in the photography business, focusing on industry, architectural, food and hospitality sectors. He has worked for clients such as Hilton, Marriott, Whole Foods, Nestle, Ford and Google. Time: Doors at 6:30 p.m. Event begins at 7 p.m.
APA membership can easily pay for itself.